Located amidst the azure waters of the Arabian Sea and home to the famed backwaters of Kerala, the beautiful city of Kozhikode is today one of the most popular tourist destinations of Kerala. Also known as Calicut, the historic city of Kozhikode is blessed with a heritage that has always influenced the culture of Kerala. Thus, if you are planning a trip to Kerala, make sure you include a tour to Kozhikode as an integral part of your tour itinerary to Kerala. The city, blessed with all forms of modern amenities and facilities is also home to a number of accommodation facilities for the tourists planning a holiday in Kozhikode. 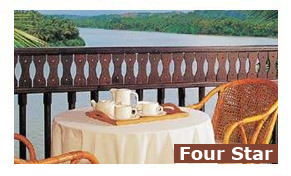 These include several reputed four star hotels in Kozhikode, many of which are reputed names in the world of the hospitality in India.